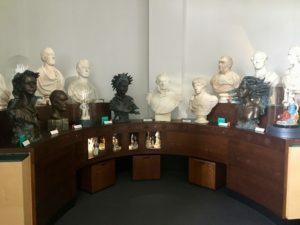 You are here: Home / Columns / Laura's London / Laura’s London: Four New Permanent Galleries at the National Maritime Museum – Here’s Our First Look! Laura’s London: Four New Permanent Galleries at the National Maritime Museum – Here’s Our First Look! Following a major £12.6M redevelopment project, The National Maritime Museum in Greenwich has new permanent galleries open from 20 September 2018. 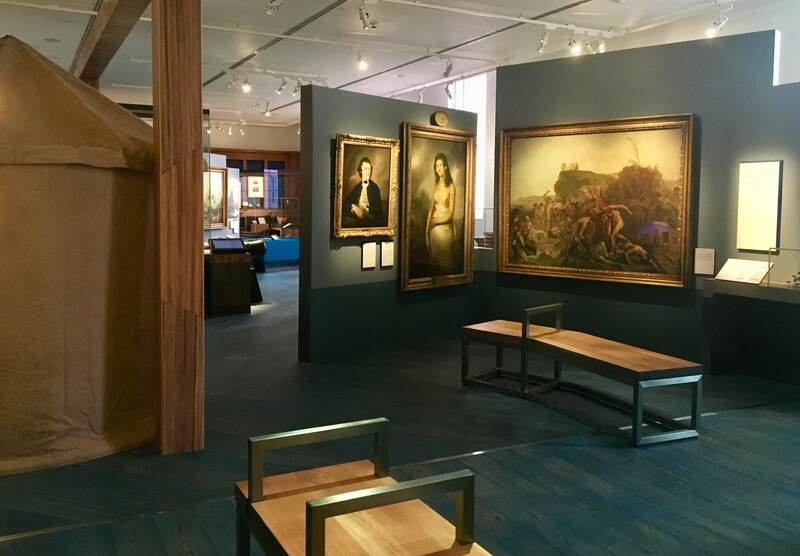 1,000m2 of space in the Museum’s East Wing, previously closed to visitors, has been converted to public use adding an additional 40% of gallery space. 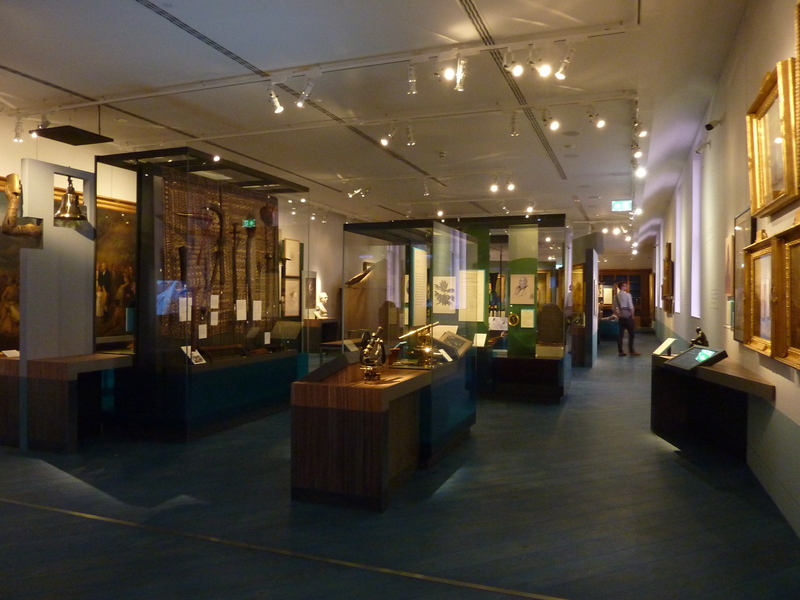 And just like the rest of the Museum, these galleries are free to visit. 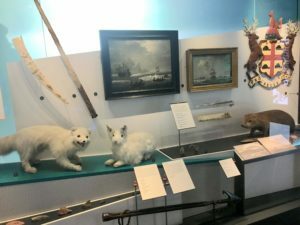 The Exploration Wing has four new galleries: Tudor and Stuart Seafarers, Polar Worlds, Pacific Encounters, and Sea Things. 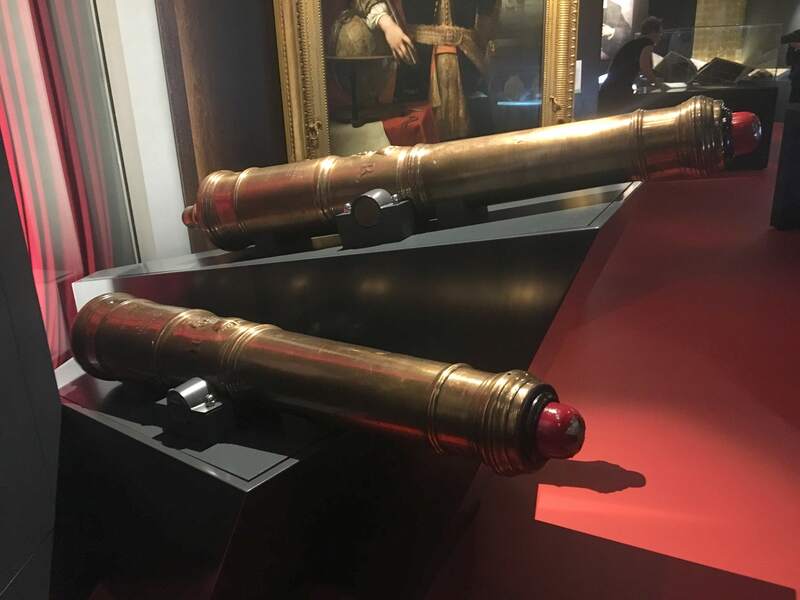 Over 1,100 objects are on display showing British and European exploration from the late-15th century through to the present day. 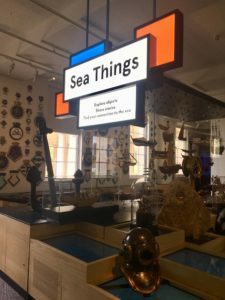 The galleries highlight how Britain’s relationship with the sea and its growing maritime power and ambitions shaped the country and impacted the world we live in today. 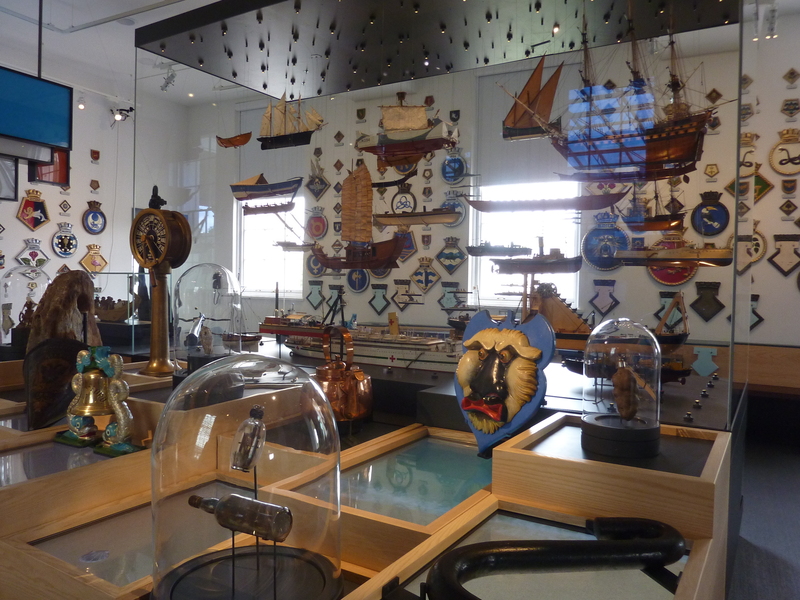 This gallery explores how England, and later Britain, emerged as a maritime nation between 1480 and 1720. In the late-15th century, England’s priorities were predominantly domestic and European but over the subsequent two centuries, the people of the British Isles travelled further across the seas and transformed the country into a leading maritime, economic and political force on the world stage. The Tudor and Stuart period was a time of intense conflict between European nations. 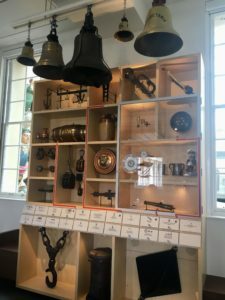 England, France, Spain and the Netherlands were long-standing rivals but commercial expansion and colonial competition heightened tensions between them. 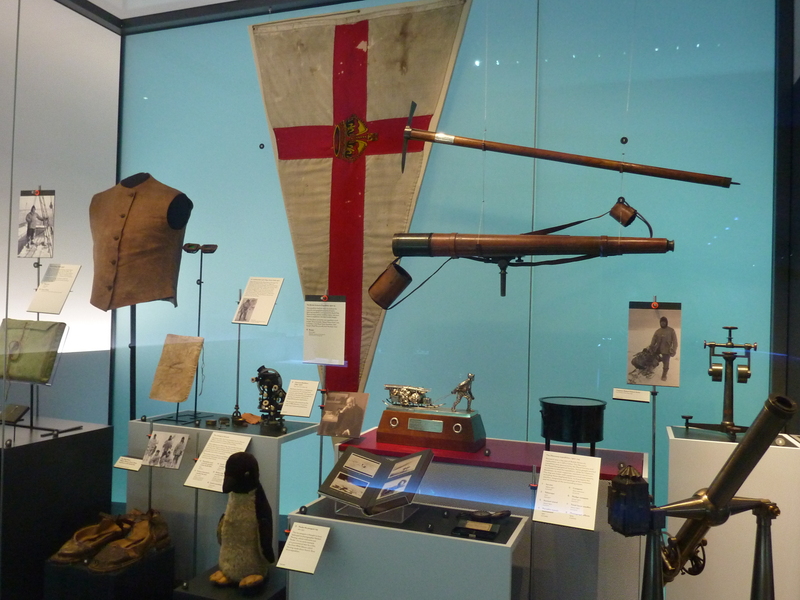 As a result, wars were increasingly fought at sea and navies became even more important. 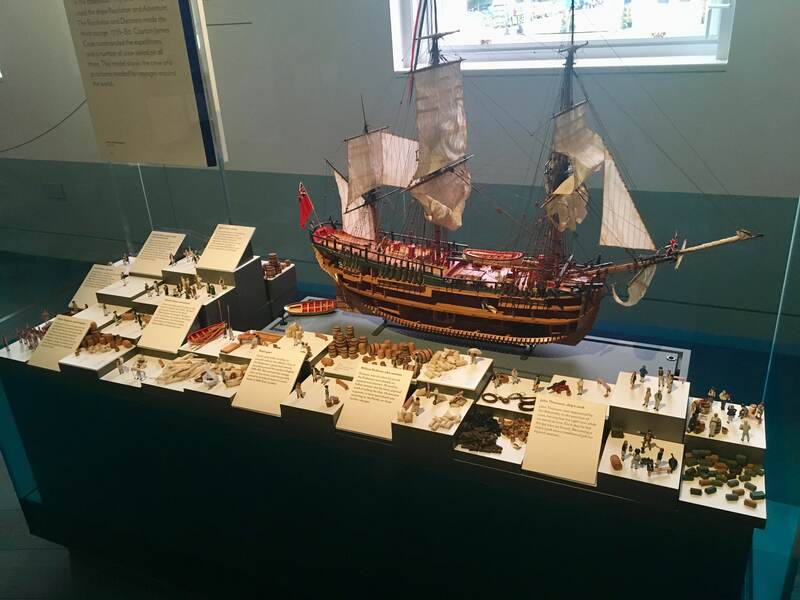 In the struggle for naval supremacy, and the significant development in shipbuilding and investment in the dockyards, we can see how by the end of the 17th century Britain was considered the most powerful maritime nation in the world. 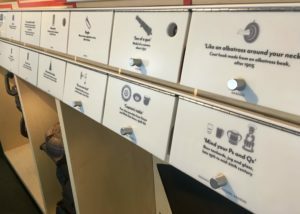 The ‘Encounters’ section is a gentle title for our invasions and colonisation of the ‘New Worlds’, although it does include videos from native Americans telling the devastating impact this had on the indigenous communities who lived there. 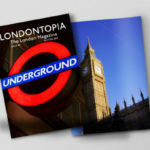 Further topics include the growth of global trade plus pirates and privateers. What’s the difference between pirates and privateers? In many ways, very little but piracy is illegal and privateering is state-approved attacking of ships to seize goods. Elizabeth I used privateers to attack Spain without opening declaring war. Francis Drake, for example, repeatedly captured Spanish ships and their valuable cargoes. 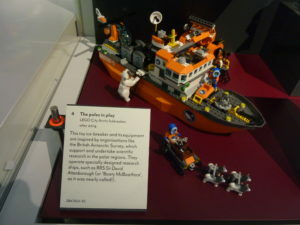 Which was how he found himself becoming the third person in the world (and the first Englishman) to circumnavigate the world. 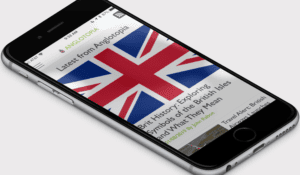 The Spanish Armada (1588) is featured. Philip II of Spain assembled an armada – the Spanish word for a naval fleet – to invade England. The Armada failed due to flawed planning and the actions of the English navy. Philip II of Spain was married to Queen Elizabeth I’s sister until that year. As we know Elizabeth I was a stubborn and religious woman so upon victory she declared that “our Protestant God” was on our side and that England was invincible. That pride/arrogance continued well into the next century. A systematic approach to building ships was needed. 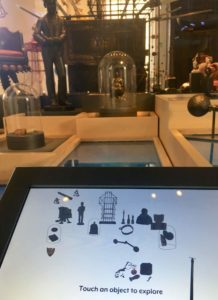 As there is little in the Museum’s collection about the dockyards they have created a holographic display of people working in a royal dockyard c. 1690. 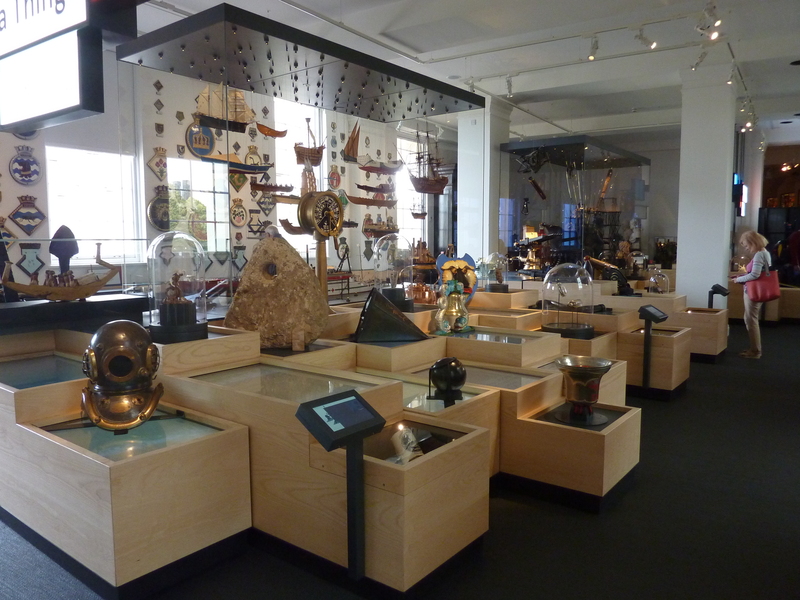 Other highlights include navigational instruments, such as astrolabes, compasses and telescopes; 12th-century paintings and model ships. 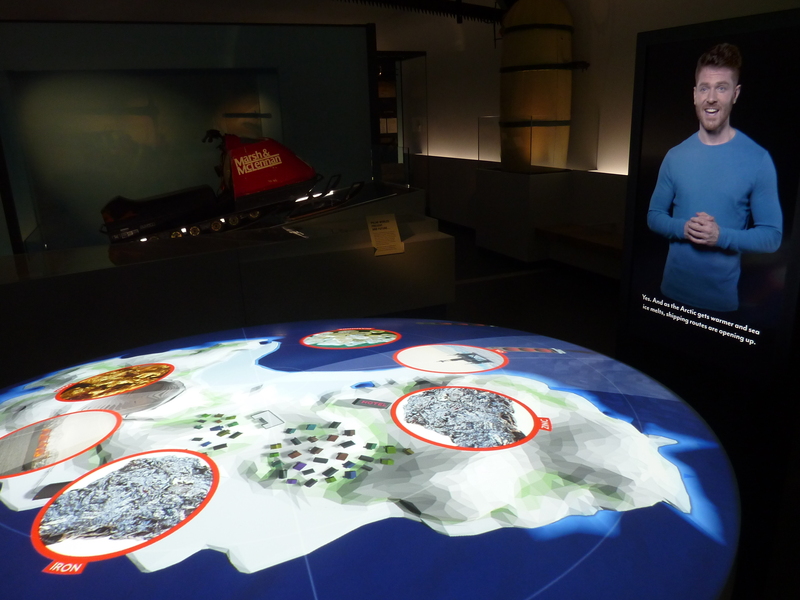 ‘Mapping the World’ has an enjoyable touchscreen where you can see the detail on some really interesting maps. Mythical sea monster around Iceland, for example. There are some central projection tables covering the key themes in the gallery with more information and posing a question to gather visitors’ opinions. 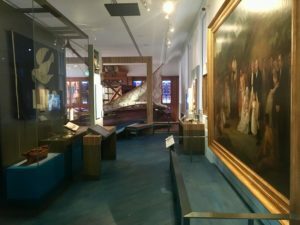 Note: The Tudor and Stuart Seafarers gallery is dark, due to the fragility of some objects, and has sounds of crashing waves. The polar regions have been a focus for British exploration and scientific enquiry for centuries. Britain’s initial reason for trying to traverse the top of the world was to try a new trade route to India and China. And after the Napoleonic Wars (1803–1815) Britain had a large navy with little to do; so they went exploring. The loss of Sir John Franklin’s expedition in 1845 was a blow to British Arctic ambitions. There was little enthusiasm for exploring the area after his party was declared dead in 1854. 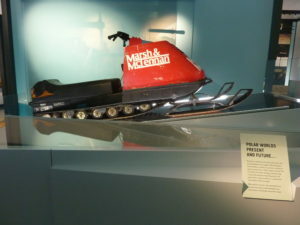 But by the 1870s, when other countries showed an interest in northern exploration, Britain had become involved again. 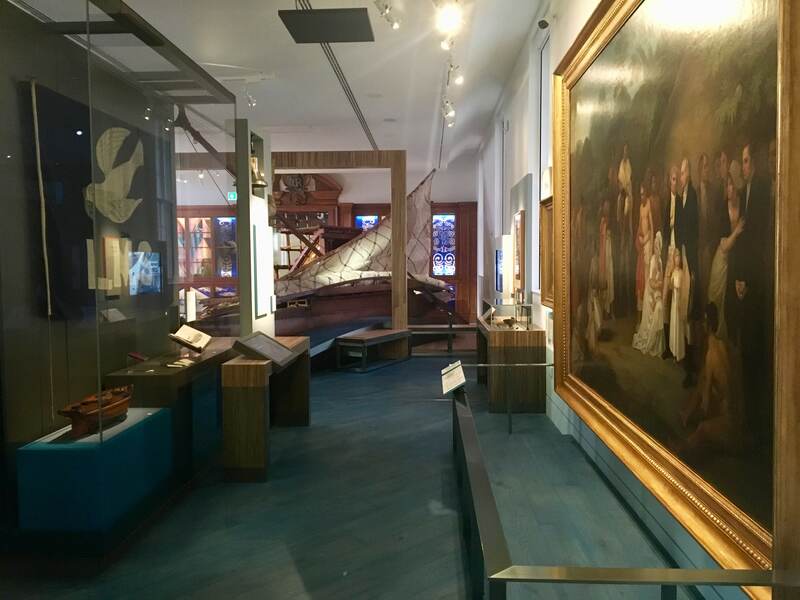 This gallery examines the major British polar expeditions over the past 250 years, including the famous journeys made by Scott and Shackleton for scientific and geographical investigation. There are examples of expedition clothing and food supplies accompanied by extracts from explorers’ diaries. The gallery has two entrances; the northern end has the Arctic and the southern end of the gallery is Antarctica. 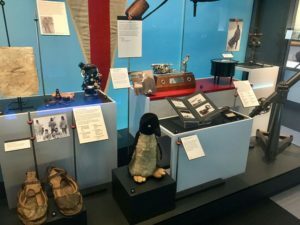 The central display brings both polar regions together, examining their political, cultural and environmental status in the world today, and considering what the future may hold for these important places. Gallery highlights include Percy, a stuffed Emperor Penguin, that was caught on Captain Robert Falcon Scott’s first Antarctica expedition in 1901-4. 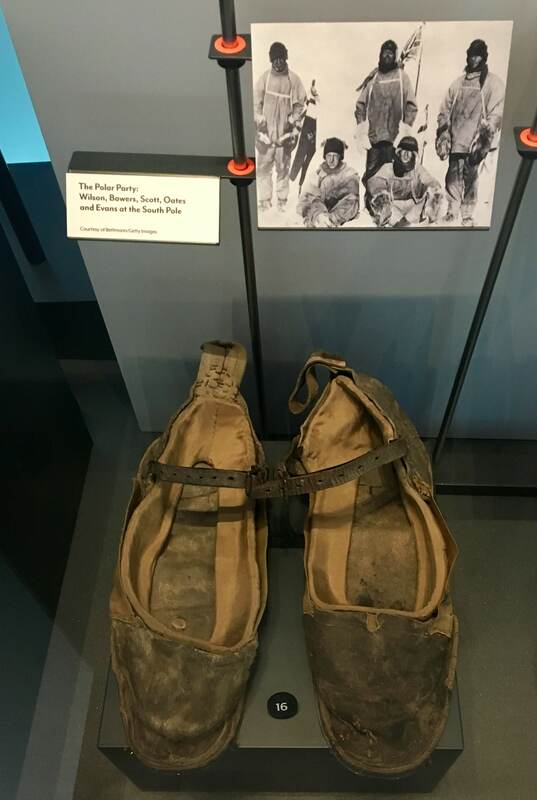 Also on display are Scott’s overshoes (c.1910) removed from his dead body. 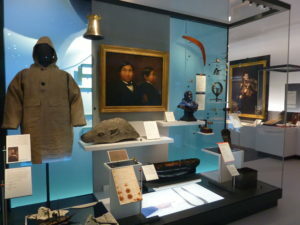 The fur sleeping bag on display is a good reminder of the extremes these explorers endured. This animal skin sleeping bag was owned by Murray Levick, the surgeon on Scott’s ill-fated ‘Terra Nova’ expedition. And this wedding dress, while romantic, is also a political statement laying a British claim to the Antarctic. 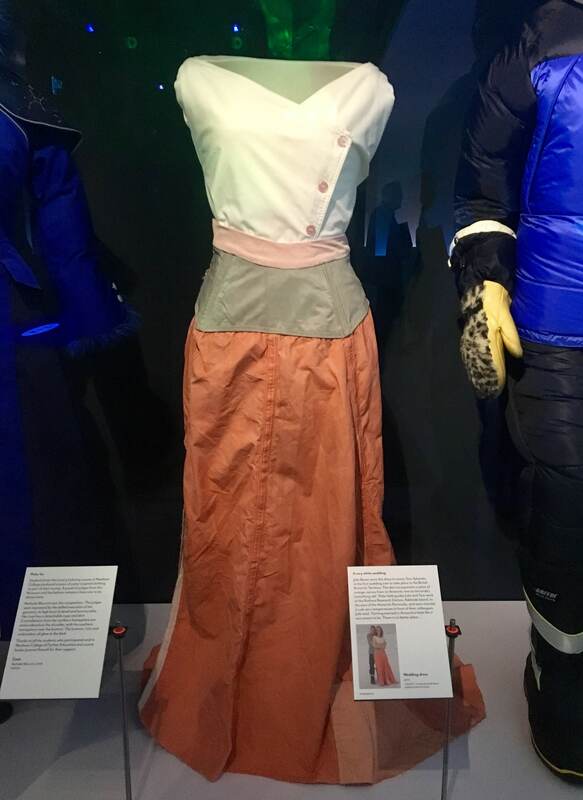 Julie Baum wore this wedding dress to marry Tom Sylvester, in the first wedding ever to take place in the British Antarctic Territory. The orange canvas was her ‘something old’ as it was from a tent. Note: The Polar Worlds gallery is much lighter, although there is still no natural lighting. There are some atmospheric sounds. The Pacific is the world’s largest ocean. It covers a third of the globe, stretches from pole to pole, and links the continents of Australasia, the Americas and Asia. The objects on display here mainly relate to the South Pacific islands, Australia and New Zealand. 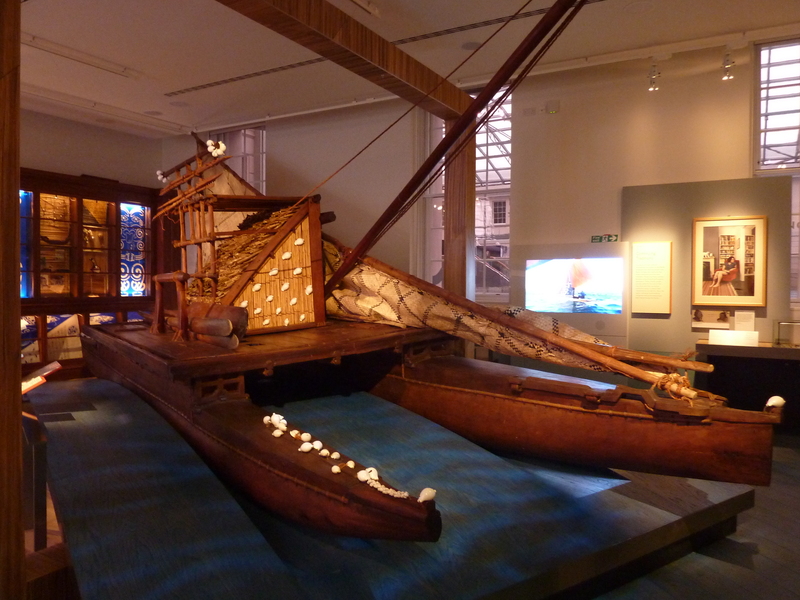 This Fijian canoe, built in 2014-5 using traditional methods, is the largest object in the gallery. There are no nails in its construction, instead each canoe piece is bound together using coir (coconut husk fibres). This gallery tells the story of exploration and exploitation, as European travellers turned their attention to the Pacific in the 17th century. 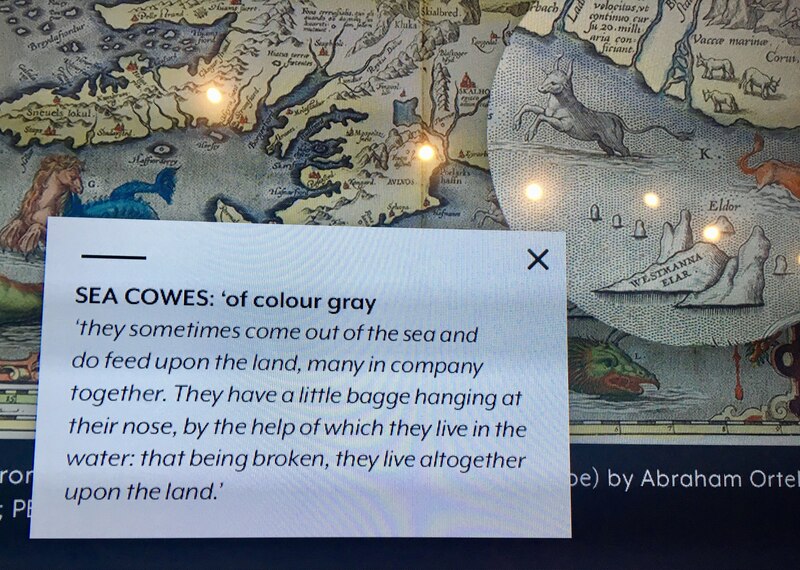 (Do pull-out the drawers to see a world map from 1650.) It examines the far-reaching consequences this had on the people and cultures they encountered. Stories include the HMS Endeavour, the first of three expeditions led by Captain James Cook in 1768; and the mutiny of the Bounty, a vessel that was tasked with cultivating Breadfruit as food for enslaved people in the Caribbean. Encounter paintings by William Hodges show Pacific peoples meeting Britsih explorers for the first time. There are no hands stretched out in friendship while offering gifts. No, we arrived with guns pointing at the natives and wondered why they attacked us in return. And the European missionaries who travelled to the Pacific in the late 1700s imposed Christianity on the islanders destroying traditional ways of life. They publicly burned objects that conflicted with their Christian teaching but kept ‘the best’ idols to send back to Europe to recruit potential funders. There seems to be a lot of historical paintings and fewer objects on display in this gallery. It certainly leaves you with plenty to reflect on. Note: The Pacific Encounters gallery has natural light, with windows overlooking the lawn. Unlike the other new galleries, Sea Things is not a traditional or chronological gallery. 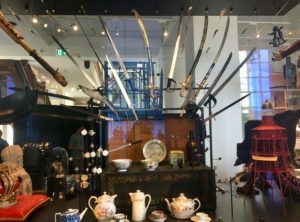 It has over 600 objects, many on ‘open display’ (not in glass cabinets). This was great as traditional galleries can be tiring but in here I felt energised again. There are colours, things you can touch and things to do. The newly-commissioned busts and figurines are talking statues that share personal maritime memories. The touchscreen information points are great – easy to use and just the right amount of detail. 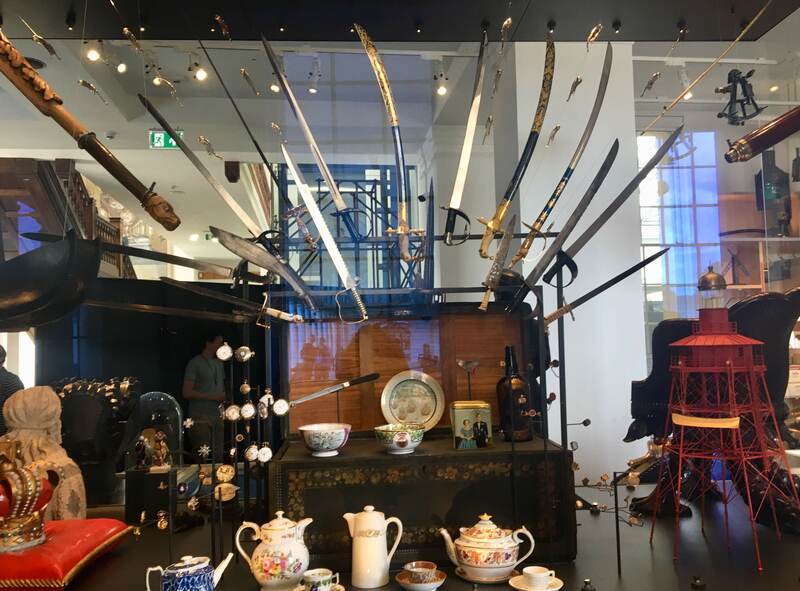 The chosen objects are often quirky and unusual. There wouldn’t normally be a reason to find a Roman stone anchor and a chair with duck feet in the same gallery in a museum but I liked it here. I reckon this is one of those galleries where you will notice something new every time you visit. 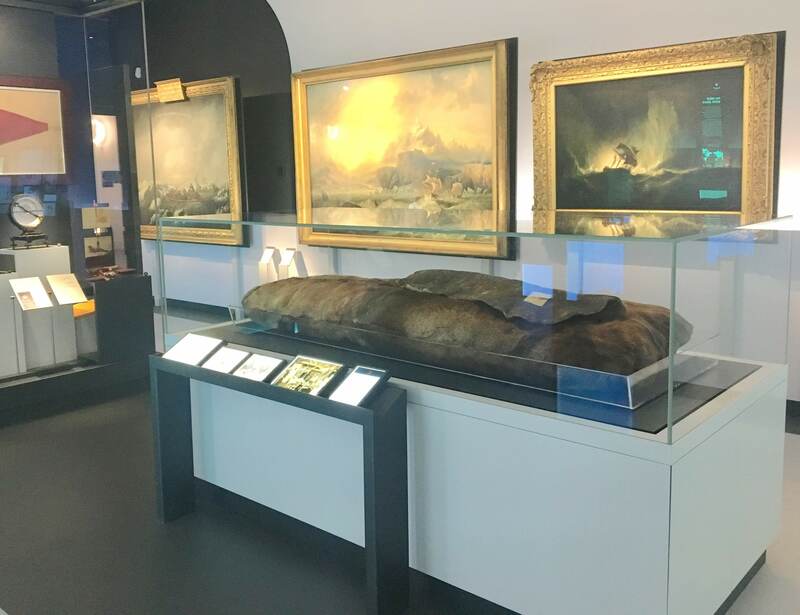 Look out for a carved whale’s tooth, a pocket watch worn by a victim of the Titanic disaster and an Ancient Egyptian votive ship model – one of the oldest artefacts in the Museum’s collection. 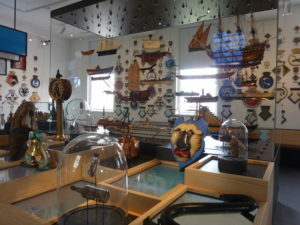 Note: The Sea Things gallery has natural light, and windows overlooking the Museum’s central (covered) atrium. Admission to the galleries is free of charge. 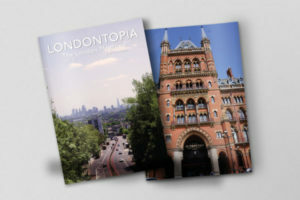 Laura Porter writes AboutLondonLaura.com and contributes to many other publications while maintaining an impressive afternoon tea addiction. 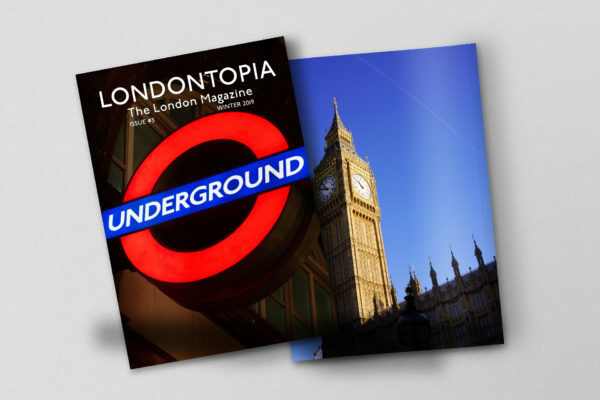 You can find Laura on Twitter as @AboutLondon and @AboutLondon Laura on Facebook.